Despite being one of the smallest of the Canary Islands, Lanzarote, lying in the far east of the archipelago, boasts a wide range of amenities and attractions. It boasts stunning volcanic landscapes and truly paradisiacal spots as well as a wealth of contrasting colours, guaranteed to leave you with lasting memories of your holiday on the island. Organising a trip is often a complicated affair, and it is hard to know where to start or what to visit. So to help you out, we have come up with a mini tour designed to enable you to discover the best of Lanzarote in just 3 days. A great way to spend day one of your trip is exploring Costa del Papagayo, a 7 km stretch of completely unspoilt coastline. The best-known beach on this coast is Playa de Papagayo, which is definitely well worth a visit, although there are other truly paradisiacal beaches located nearby. Playa de Mujeres is the largest beach in this area, and the first you will come to on reaching the coast. It is easy to access, which means that it tends to be fairly crowded. Caletón del Cobre is a compact cove that can only be accessed on foot. Here you have to watch out for the tides, because at high tide it can only be reached via a path that takes you up the mountain before making its way down to the cove. Caletón de San Marcial is smaller than the previous one, although the thirty metre stretch of sand makes it a favourite with tourists. Continuing straight along the coastline brings us to the next beach, known as Playa de Pozo. An expanse of fine white sand bathed by crystalline waters. Finally we come to the magnificent Playa del Papagayo. A parking fee is charged for cars, although access on foot or by bicycle is free of charge. This delightful half-moon shaped beach with its emerald green water is the ideal spot for enjoying activities such as snorkelling. It is located just a few kilometres from the THB Tropical Island **** and THB Royal *** hotels. 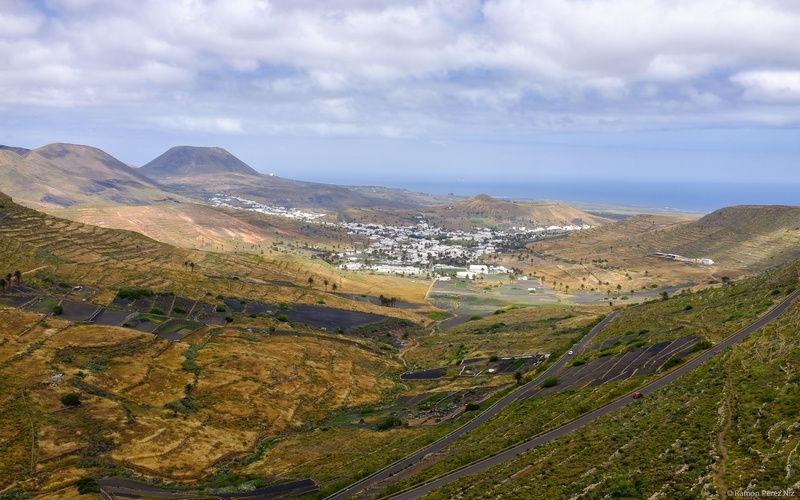 On day 2 you should swap the beach for the volcanoes: indeed, exploring Lanzarote’s volcanic area is an absolute must for everyone visiting the island. The black volcanic lava landscape forms a startling backdrop for the contrasting white-washed towns, guaranteed to create lasting images in your mind. Today, Timanfaya National Park is one of Spain’s most important nature parks. The only way of reaching the park is via a tarmac road that takes you straight to the car park on Hilario Islet, which affords breathtaking views of the volcanic area. Visitors are not allowed to roam the park unaccompanied and therefore the entrance fee includes a bus tour around some of Timanfaya’s many beauty spots. Guided walking tours may also be booked online in advance. We advise visiting the park early in the morning when it is less crowded, enabling you to make the most of your day. La Caldereta and Caldera Blanca are two volcanoes situated on the boundary of Timanfaya National Park and visitors may book a guided walking tour of the craters. The route departs from the village of Mancha Blanca, taking visitors on a round trip of some 10 km. 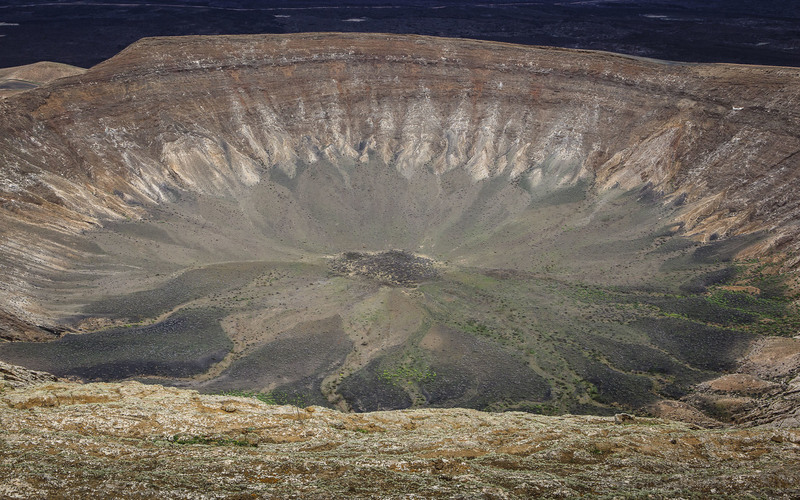 The itinerary includes views of the volcano from above and the 1,200 metre wide crater, a truly breathtaking sight. Exploring the island’s west coast will reveal authentic natural wonders; one sight that must definitely not be missed is Charco de los Ciclos, a small green lagoon situated on the beach itself. Heading south brings visitors to Los Hervideros, where the black volcanic land forms a striking contrast with the intense blue tones of the Atlantic Ocean. Continuing south along the LZ-703 road leads to the salt flats known as Salinas de Janubio, a charming spot filled with the colours produced by the salt. Day three of the tour requires more travelling, but offers visitors the chance to admire truly spectacular views and a town steeped in history. Starting at Famara beach, the twisting LZ-10 road takes us up the mountain, affording panoramic views of much of the island. This road eventually reaches Haría viewpoint, which boasts one of the island’s most breathtaking vistas. The second viewpoint is located on the LZ 202 road. The Mirador del Río is renowned as being the official viewpoint from which to admire Graciosa Island. An entrance fee is charged, but just a few metres before you reach the viewpoint there are a number of stopping places where the views are equally stunning. After completing the viewpoint route, visitors can tour another of the island’s must-see attractions: the volcanic caves. The most famous is the Cueva de los Verdes, where visitors can walk along the galleries, admiring the spectacular beauty of nature and the myriad colours created by the minerals. The day ends with a visit to Teguise and the chance to admire Lanzarote’s most delightful town and its history stretching back more than 2 centuries. Teguise was the capital of Lanzarote until the end of the 18th century, and conserves the original architecture dating back to this period, with cobbled streets and eye-catching buildings such as the Church of Nuestra Señora de Guadalupe. 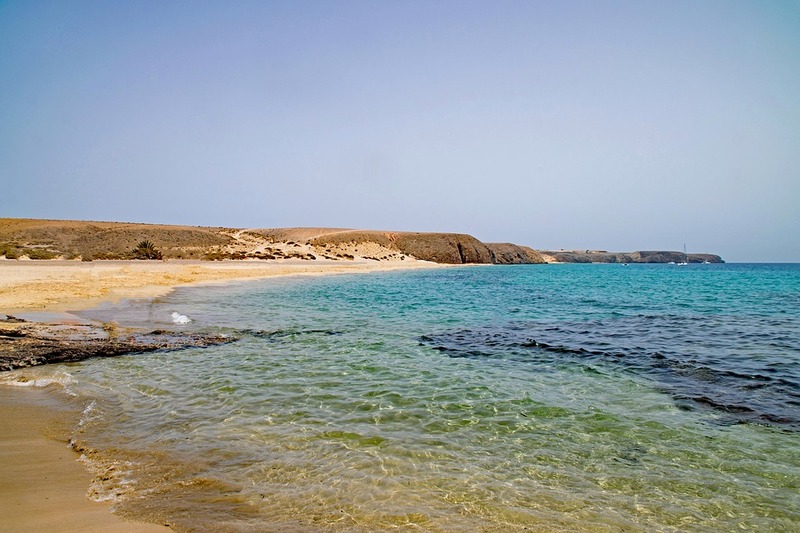 If you are staying for longer on the island, then you should take advantage of the opportunity to visit the islands of La Graciosa and La Isla del Lobo, situated just off the coast of Lanzarote. La Graciosa, lying north of Lanzarote, is the smallest inhabited island in the archipelago. Access is by ferry and the only way of exploring it is on foot or by bicycle, as there are no tarmac roads. La Isla del Lobo actually belongs to the island of Fuerteventura, but its proximity to Lanzarote makes it an absolute must for visitors who will marvel at the magnificent landscapes on this totally unspoilt islet. Check out our recommended hotels on Lanzarote.